In this modern day and age, we do carry around our fair share of electronic devices, and most of the time, these devices will need to be juiced up the night before in order for them to serve us yet again the next day. 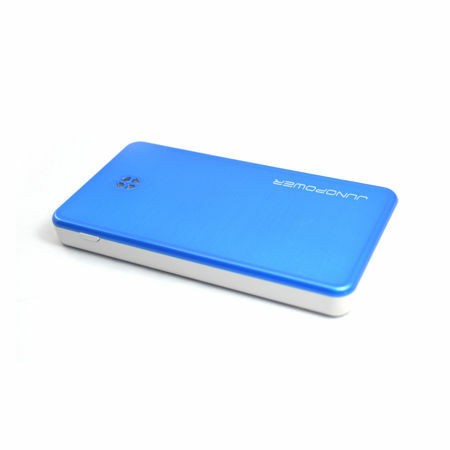 However, there are times when we might actually forget due to the many cares and concerns in life, which makes a portable power pack useful. However, the JUMPR external battery from Juno Power is unlike any other that you have seen before, as we will take a deeper look at it right after the jump (pun not intended). For starters, the JUMPR will be able to solve a couple of common problems in one convenient package. Being a sleek, lightweight external battery that will hold an impressive 6,000 Milliamps that is able to jump a completely dead car battery in a matter of minutes (see why it is called that now? ), there will also be a 5V 2.1A output that is more than capable of charging power hungry devices that range from smartphones to digital cameras, and tablets. This means users of such devices who drive no longer need to worry about a dead phone or a car battery, now how about that? The JUMPR can be yours for $89.99 a pop, but it is right now on pre-order until May 1st, where you would receive a $20 discount along the way.